We’re pleased to introduce a new series of blog updates brought to you by the new book My Life as a Night Elf Priest, by Bonnie Nardi. The entries will focus on the new video game features in World of Warcraft‘s “Cataclym” expansion/update, which is most likely debuting this fall. My Life as a Night Elf Priest explores the online world game World of Warcraft, including how players interact with each other in the United States and in China, two of the world’s largest playing areas. For more information on the new book, visit here. 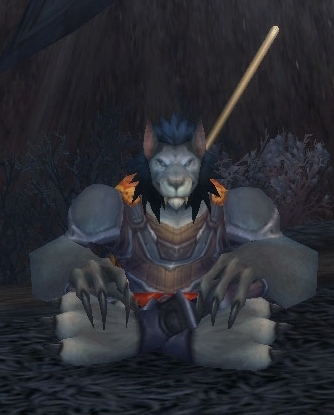 Today’s update is on the starting experience for the Worgen, the new race of werewolf-style shapeshifters who are available to characters that play for the Alliance faction in Warcraft. Future updates will walk through the new Goblin starting area for Horde players, the new low-level playing areas that have been created in the game, the high-level areas for people who have characters that are currently at the maximum level in game, and profession information for players who planning to improve their crafting skills in the new expansion. Click the link below to continue to the Worgen starting area preview. Players begin the Worgen starting area in Warcraft as a human member of the Alliance faction (which helps to explain why worgen, who could have easily been either Horde or Alliance, stay true to their roots). You’re tasked with the defense of Gilneas, which has been overrun with savage worgen – the standing wolf familiar to anyone who has completed quests in lower level areas. Experienced players will quickly note some improvements for new joiners of the WoW universe: your mini-map is automatically set to show you your class trainers when they appear, innkeepers when they’re available, and so on. When your character gains experience and levels up, the messages are more dramatic, and you’re notified of what you’ll be able to learn when you visit a class trainer. The entry quests are well-designed to teach you some basic concepts, including how to direct a pet (you get control of a mastiff early on), the idea that some enemies may be stealthed and therefore invisible, the use of quest objects that are scattered around the landscape, riding on vehicles, and so on. In one entertaining early quest, you’ll kill off the engineer running a catapult, load yourself inside, and launch yourself at neighboring boats to attack their captains. It’s a nice nod to fights in the current game (a la Flame Leviathan) for existing players, and likely to be a hoot for new players as well. It’s not long before you’re bitten yourself, of course, and your days as a human are numbered. Fortunately, an alchemist that you rescue in an early quest has a “cure” – it doesn’t quite turn you human again, but you can spend the next few levels running around as a worgen without everyone trying to shoot you on sight. The worgen quests lead you steadily through a series of settlements as each is overwhelmed (or saved), either by worgen, attacking Forsaken/undead, ogres, wild beasts or natural disasters. You’ll save drowning soldiers by carrying them on your back, blow up attacking undead by throwing black powder kegs on their heads (exploded by a gun from afar), man a cannon to lay waste to hundreds of attacking worgen, and generally get a chance to experience nearly every type of quest the game has to offer. Not surprisingly, the Worgen area is heavily phased – that is, at each point in the quest line, you’ll see something totally different about the landscape than you did before (and you’ll only see those players around you who are at the same stage in gameplay). It’s a far heavier use of the phasing technology than anything that currently exists in the game, and it does help to preserve the sense of immersion. There’s a little too much running – especially for experienced players, who are used to jetting around on epic mounts – but you get a good sense of the countryside, all of which has a foreboding “deep dark woods” feel perfect for a werewolf zone. Non-player characters speak in varying accents (depending on the strength of the voice actors), but settle mostly into a light Scottish brogue. Blizzard is reportedly working on an “auto-quest” feature that will allow players who complete one quest to immediately pick up the next in the field, which may help alleviate all the jogging around. Players who are looking for the epic feel of the death knight starting area won’t find it here; that remains the best scripted experience in the game. Neither the storyline nor the non-player characters involved here are as fully-featured or interesting. Still, the Worgen experience is a great basic introduction to the game and to the Worgen race itself, which has a nifty backstory. The high point is the massive battle to retake Gilneas City towards the end of the Worgen questlines, which experienced players will find shares a lot of similarities with the Battle for Undercity part of the Wrathgate questline in the existing game. 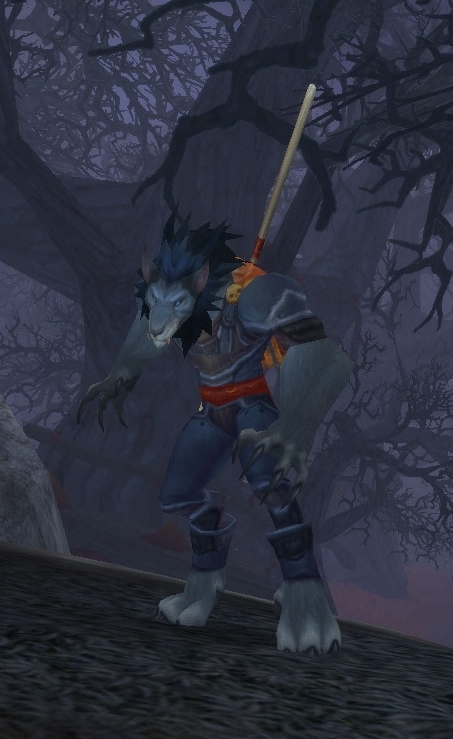 The Worgen race itself is well-drawn and detailed. Right now it’s difficult to see the human form you’ll assume while you’re creating and customizing your character, but developers have said that will be fixed as testing continues. Animations are smooth and dramatic. Best of all, the Worgen questline continues well into the teens for leveling, making it easy to transition from this new starting area to the new questing areas opened up by the changes in the game world wrought by “Cataclysm.” Stay tuned for a future update in this series on how exactly that mid-level experience has changed. This update is by Heather Newman, who has written professionally on video games for 15 years for publications and outlets including the Detroit Free Press, Family PC, Gannett News Service, and Knight Ridder Tribune News Service. It was brought to you by the new book My Life as a Night Elf Priest, by Bonnie Nardi, available now from the University of Michigan Press. Professors, click here to request exam or desk copies of this title for the classroom: My Life as a Night Elf Priest, Paperback ISBN: 978-0-472-05098-7.